Welcome to team agreda. This is your first post. Edit or delete it, then start blogging! Upload a blog avatar from your Settings -> Blog Avatar tab to change the default avatar in the sidebar with your own photo. 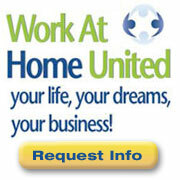 Create your own WAHU Team page then change the URL in the Work At Home United text widget with your own custom link. You can customize your sidebars as you wish from the Appearance -> Widgets tab. And you can change the header image in many themes from your Appearance -> Header tab. We have activated many site designs for you to choose from in your Appearance -> Themes tab, and made many helpful Plugins available for you to activate. Edit your site’s title and tagline from the Settings -> General tab. To have your site appear at your own custom domain, you can have us register your domain for you or contact us for details. Enjoy your new site and contact us with any questions! © 2019 My Team Agreda Business Site. All Rights Reserved.